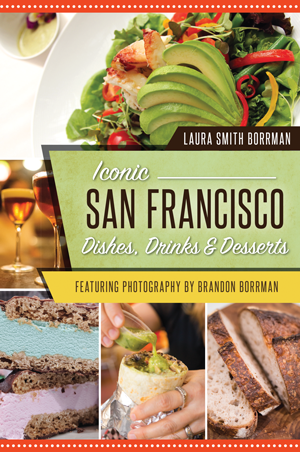 California native Laura Smith Borrman is a writer, editor, story gatherer, lover of food and drink and author of two previous books. She has worked in many industries, spanning pastry kitchens, culinary travel, public radio, research and the corporate world. She’s a mother of two and lives with her husband and children in Oakland. She writes about the city and the people who’ve shaped it at discoveringvintagesanfrancisco.com and about food memories, recipes and motherhood at cravingsofhome.com.